Giordano’s downtown, 730 N. Rush, sits on a swanky corner with neighbors, the Peninsula Hotel and RoseBud on Rush. Giordano’s acquits itself proudly in the American tradition of reliably better-than-good, red-sauce Italian fare served in comfortable surroundings. High ceilings and warm dark-wood paneling feel spacious yet welcoming. A cozy bar sits off to one side in front. Large windows let in plenty of light, even on a gray day like ours started out. Red-checked vinyl tablecloths and generously sized padded booths reinforce the comfy, casual feel. We were there on a weekday at high noon, yet we never felt crowded or rushed. I was eager to try the calamari appetizer–always a good test of a kitchen. Served in a portion big enough for lunch all by itself, it was battered—like a slightly heavier tempura-type coating—rather than breaded. We got a big pile of the circle pieces topped by a small pile of crispy tentacles, all deep-fried to just a hint of chewiness. I loved the cocktail sauce and lemon, and my companion’s request for marinara brought a whole bowl of steaming sauce. Between us we made short work of the plate. Service was friendly and competent without being too much. I especially appreciated the server’s careful explanation of how much time each dish would take to bring to the table. In fact, we even changed our individual stuffed pizza order – removed the spinach from it – because she said the dish could take quite a bit longer with any additional filling. Not sure how long lightning-fast-cooking fresh spinach would actually have taken, but happily, the amended order arrived safely within the promised time. In the matter of timing, Giordano’s takes a page out of the airlines book on setting customer expectations. Being in this prime section of downtown, they undoubtedly get a boatload of people on the clock for lunch and tourists eager to get back to shopping, and some of their prepared-to-order dishes take longer than most people would expect. For those of you too young to remember, a few decades ago the airlines were constantly being criticized for late arrivals. One day they all got together and said, hey, why don’t we just say we’re going to arrive later? It worked like a charm. People began setting their schedules based on the new, later, stated arrival time, and complaints practically disappeared. These days customers get the occasional thrill of saying, “My plane is getting in early.” Smart thinking, Giordano’s. My friend ordered his dish of Fettuccini Torino (named after the brother founders’ mother’s birthplace in Italy) with shrimp, and it came with choice of soup or salad, and butter with a loaf of crispy Italian bread. He opted for the green, and the server brought out a generous plateful of just-picked-looking salad at the same time we got our order of individual stuffed pizza. Mmmm. Our order featured a layer of fresh-tasting (as opposed to long-simmered), light, flavorful tomato sauce with just enough garlic atop a generous blob of sweet melty cheese—the website says the cheese includes ricotta, according to the 200-year-old double-crust pizza recipe from a long line of great-grandmoms. Our order was laced with mild Italian sausage and cradled in a not-too-thick, not-too-thin crusty dough bowl. I’ve been a fan of stuffed pizza from The Art of Pizza for the past couple of years, but Giordano’s gives this Chicago standby a different and delightful treatment. I’ll definitely try this for delivery at home next time. By now the sun had come out and brightened the place without ruining the cozy feeling—an accomplishment in the game of ambiance. And by then my friend was ready to let me taste his fettuccini—tender, nicely cooked shrimp and noodles bathed in a creamy, just-peppery-enough Alfredo sauce. It tasted like they may have used a little non-traditional starch to thicken the sauce, but it was tasty anyway. With the plethora of flavors I was trying, I didn’t think to try the shaker jar of grated cheese sitting in the little “condiment house” on the table to see if it would give the sauce an extra nuance of flavor. Several pasta dishes on the menu are available in lighter portion sizes. A good thing, too. Because everything here seems to be very generously sized, including the serving of French fries I got with my Hot Chicken Ranch sandwich. I consider French fries another test-though simpler of course—of a kitchen’s prowess. Giordano’s does a nice job—crisp, slightly brown edges, tender inside, not greasy but with just enough salt and crunch to satisfy that I-need-fried-potatoes urge. The sandwich came on the same crispy bread their Italian beef comes on—extra thin crust, light puffy dough inside. It enfolded tender chunks of chicken breast layered with lettuce, red onion and melted provolone. Very tasty even without the ranch dressing I asked for on the side. I saved a big piece of that sandwich and loved it again, straight out of the take-home box, for dinner. You’ll find a lot of Italian and American standards among the appetizers, salads, pastas, pizzas, and sandwiches on Giordano’s menu. The desserts alone seem worth another trip sometime—tiramisu, cheese cake, and cannoli in addition to ice cream and chocolate cake. Pizzas come stuffed or thin crust in several sizes with lots of topping choices. The pasta choices make you feel you’ve got serious dining options–Chicken Oreganato, baked mostaccioli, eggplant parmesan and that Fettuccini Torino–as well as time-honored spaghetti with marinara or meat sauce. If you’re like me, you cannot imagine eating pasta or pizza without wine. They don’t mention it on the menu, but fear not–you can enjoy adult beverages with your hearty meal. Giordano’s has locations all over the Chicago area. A lot of them deliver, too, in their local areas. If you haven’t already, give your local G’s a chance to entertain your tastebuds. 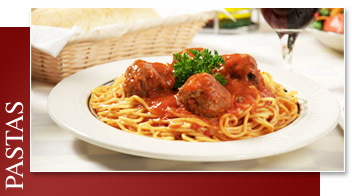 For more information and all the locations, visit their website, http://www.giordanos.com/. Lovin' how Chicago does it!